Since this is the time of year when students are receiving their financial aid letters, I wanted to share with you a previous post that I wrote on this topic. I am sharing two award letter that I obtained from Paula Bishop, a CPA in Bellevue, WA, who is a financial aid expert. Once you see actual award letters, you will have a better shot at understanding what your aid letters mean. The following award letter comes from Chapman University, which over the years have transformed itself from its reputation as a haven for “C” students into a hot school in Southern California. Take a good look. Do you see anything missing from the award? At first glance, this might look like a generous award. It appears that the family will be getting $42,150. The letter, however, fails to include information that is necessary to know if this is a solid offer. The letter doesn’t include Chapman’s full cost of attendance, which at the time was a hefty $60,573. The letter provided the tuition/fees and estimated room/board of $12,000 to $13,500, but not books, travel and personal expenses. Some schools omit mentioning any costs including tuition in their award letters! You can’t determine if an award is a good one unless you know what your EFC is. This family’s EFC was $12,617. Ideally, the family would only have had to pay $12,617 to attend any school. Realistically, however, most students will have to pay more than their EFC, but the closer to this figure the better. 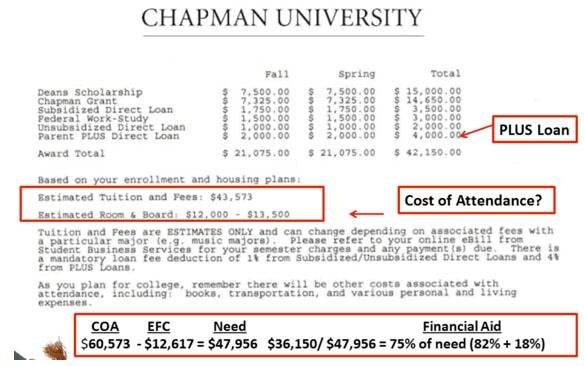 To attend Chapman, the family’s financial need was $47,956. The Chapman award also included an item that schools should not be inserting in their packages, but they typically do — the federal Direct Unsubsidized Loan, which in the letter is referred to as the Unsubsidized Direct Loan. Any student can qualify for the Direct Unsubsidized Loan (interest rate for the 2014-2015 school year is 4.66%) and it hardly should be used by aid packagers to reduce a family’s obligation. The Direct Subsidized Loan and the Perkins Loans that are reserved for lower income families are okay to be in the package. Chapman also inserted the Direct PLUS Loan in the package ($4,000). Schools often put this loan in their award letters, but this is misleading. 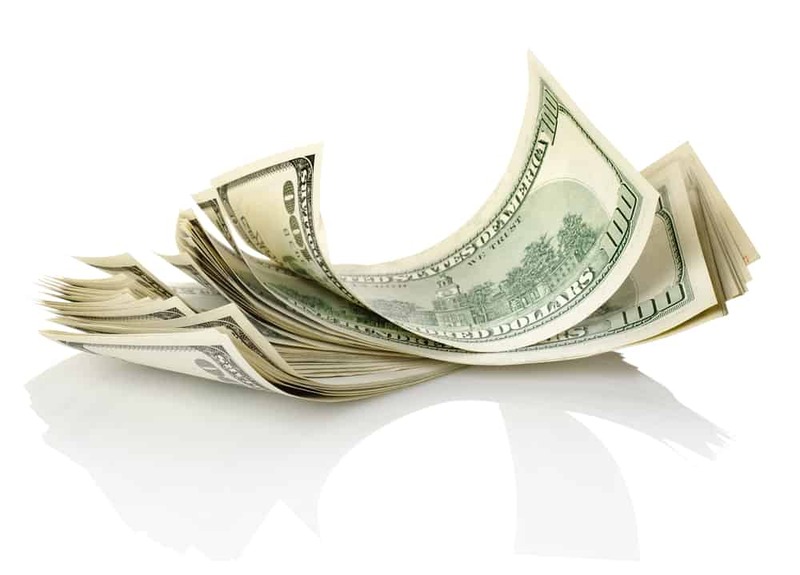 The PLUS Loan is the federal loan for parents that currently has a 7.21% interest rate. Parents must also pay an additional 4.28% fee for any amount that is borrowed. Bishop contacted Chapman’s financial aid office to ask why the PLUS Loan was included in this package and she was told that the school wanted the family to know about the existence of the PLUS Loan. Gosh, I could think of a better way to tell parents about the PLUS. How about a supplemental sheet that lists loan possibilities along with interest rates? After removing the Direct Unsubsidized and Direct PLUS loans, as well as the work-study job from the package, the award dropped to $36,150. Remember, the student’s financial need is $47,956. Chapman met 75% of this student’s financial need and 18% of the package was in loans and a work-study job. This is a mediocre award, but you need to compare it to what applicants typically receive at Chapman. You can do this by checking the school’s financial aid statistics at the College Board or COLLEGEdata. Chapman currently says that it meets 79% of its students’ financial need and 29% of this aid is in the form of loans and work-study jobs. 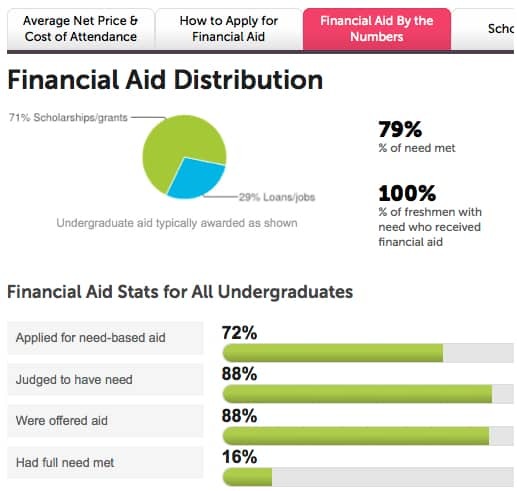 Chapman only meet the full financial need of 16% of its undergraduates. Since the applicant’s award letter was similar to what current Chapman students have typically received, it’s unlikely she would be successful in receiving a significantly higher award or any boost at all. That doesn’t mean, however, that she shouldn’t try. 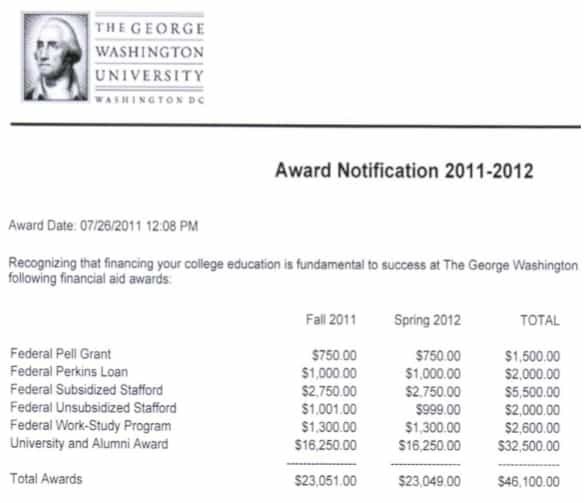 At first glance, this old award letter from George Washington University in Washington, DC, also looks generous. 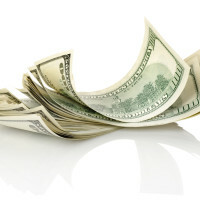 It appeared that the applicant would receive an award of $46,100, but this school also failed to include its cost of attendance which was $58,690 back in the 2011-2012 school year. The EFC for this family was just $4,100. Ideally, the family would only have had to pay $4,100 to attend any school. As I mentioned earlier, most students will have to pay more than their EFC, but the closer to this figure the better. In this case, the family’s need was $54,590. The GWU award also included the federal Direct Unsubsidized Loan (Stafford Loan is the old name) in the package. In addition, GWU did something that parents need to be on the lookout for. GWU didn’t identify the unsubsidized and subsidized Stafford as a L-O-A-N! Many parents, we suspect, would have assumed this money was a grant. GWU met 81% of this student’s financial need, but nearly a quarter of the package was in loans and a small work-study job. This is not a great award. Once again, you should compare an applicant’s award to what students normally receive at this school by heading over to the College Board or COLLEGEdata. Have you had your own experience with financial aid letters? Please share in the comment box below. Also, I would like to obtain more financial aid letters (good and bad). Please email me (Lynn@Thecollegesolution.com) if you have any that you can share. Lynn, Such helpful advice as always! Thanks again for a great post.